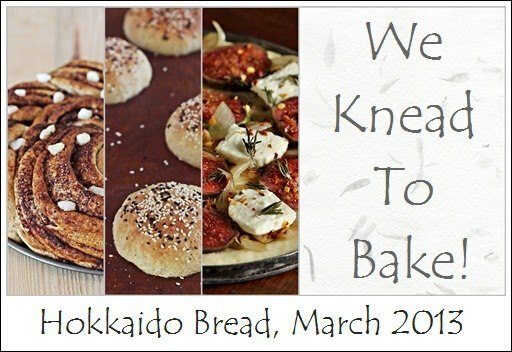 This post is for all of you who mailed in and asked me why I still haven't baked the WKtB post of the month.I couldn't do it on time but better late than never,eh? After the laborious Croissants last time,when Aparna mentioned we were doing a easier bread this time,I was quite relieved.But when I heard the name,I was amused.Hokkaido?Tangzhong?Apparently,it is a very popular bread in South Asian bakeries across the world.It is also known as Asian Sweet Bread and Hong Kong Pai Bo. 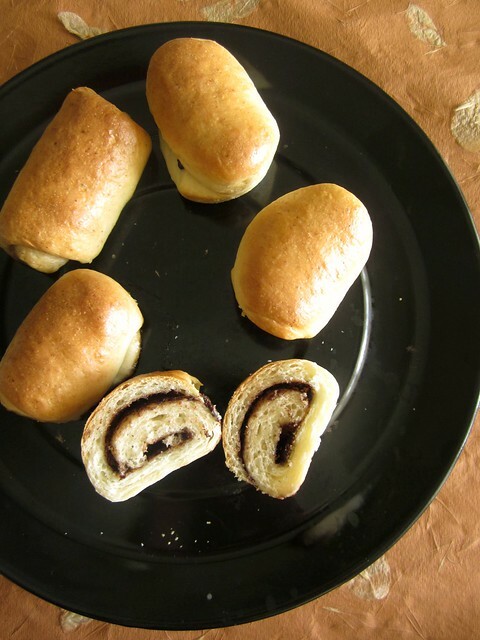 The Hokkaido Mild Bread owes its texture and height to the use of an interesting ingredient called Tangzhong. 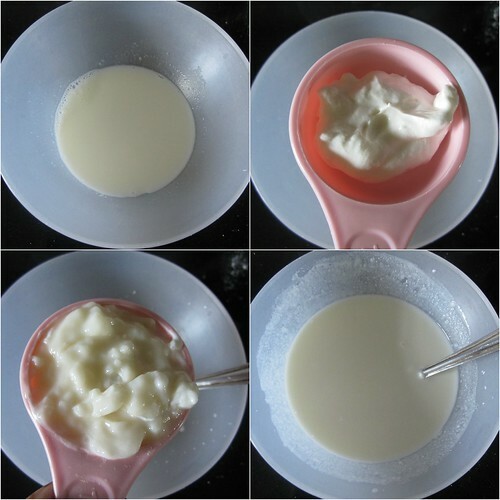 Basically, the Tangzhong method involves cooking 1 part of bread flour with 5 parts of water (by weight) at 65°C (149 °F) to form a roux. 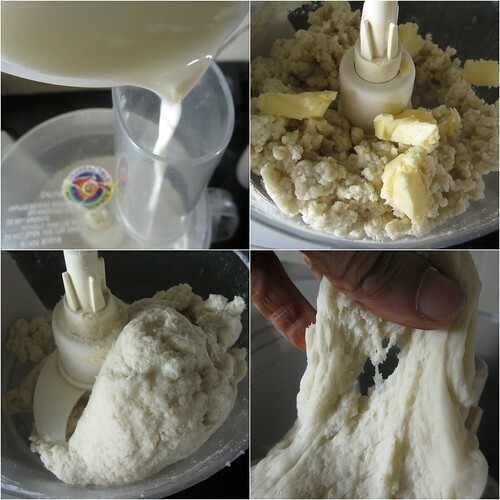 At 65°C, the gluten in the bread flour and water mixture would absorb the moisture and create a “leavening” action. 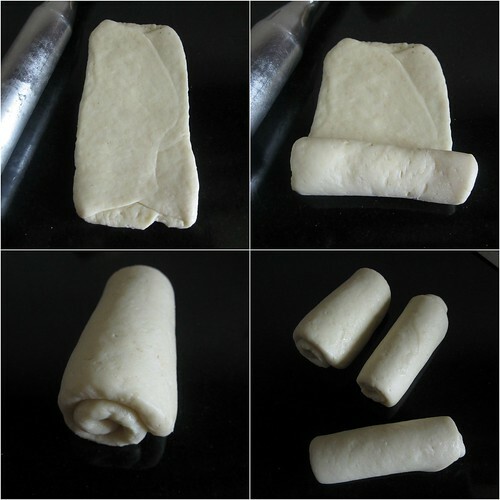 When the Tangzhong is added into other ingredients that go into a bread dough, it produces light, tender and fluffier bread. 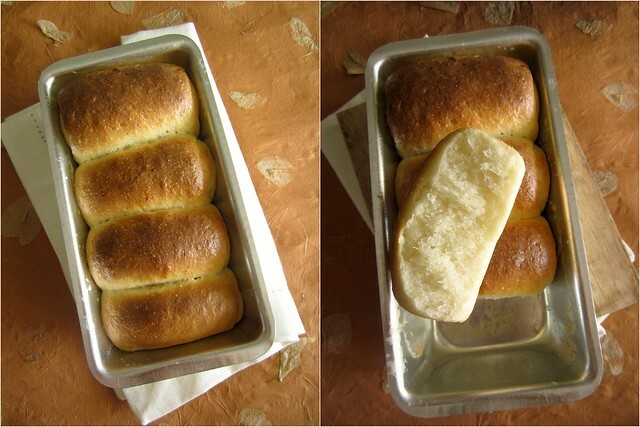 This method of using Tangzhong is often seen in South Asian breads and was created by a Chinese woman, Yvonne Chen, who describes this method in her book which translates to “65 degrees Bread Doctor”. 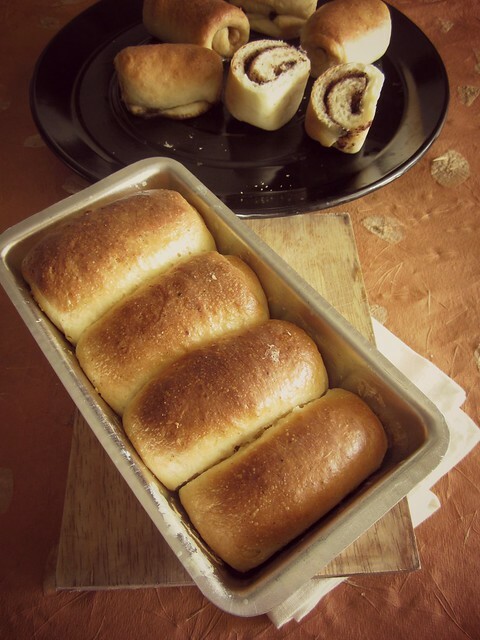 I made one small loaf and 5 small rolls. 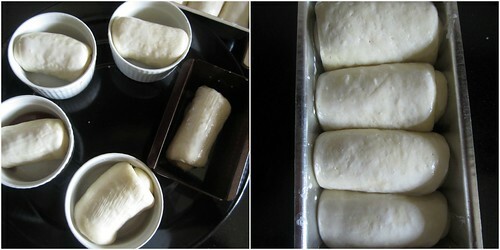 So I first divided my dough into two equal pieces first. Then I divided the first half into four equal pieces to make the loaf. 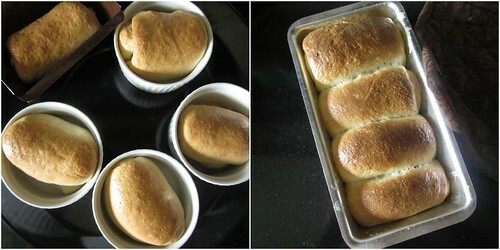 The other half was divided into five equal pieces for five rolls. 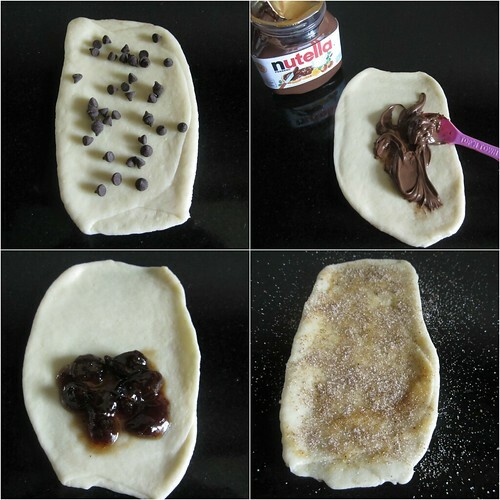 To make the rolls fold them in the same manner described above, but before rolling them up, place some chocolate chip on the dough.I did one chocolate chip roll,two nutella and one with strawberry preserve.Also one small cinnamon-sugar roll. 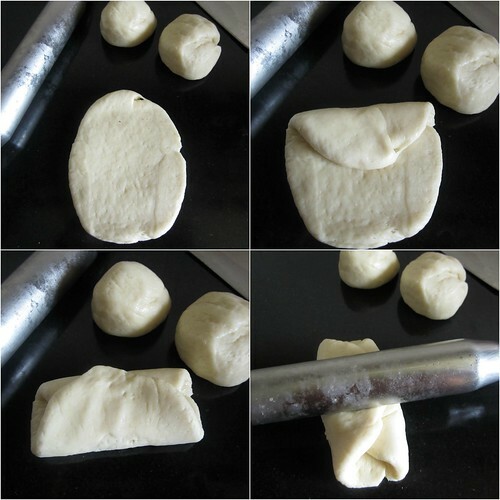 Roll the dough rectangles carefully and pinch to seal the edge. 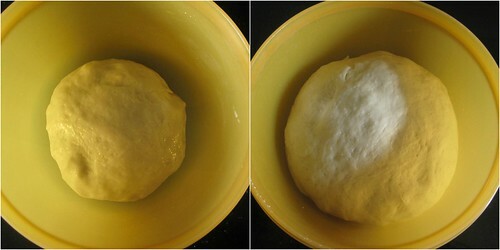 Place each roll of dough in a well-oiled muffin cup and cover with a towel. Allow to rise for about 45 minutes. There u are! 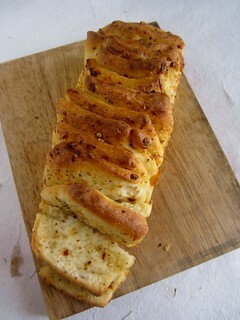 Was wondering why u havent posted it yet :) Love to see your version of these breads... Interesting variety of fillings there! 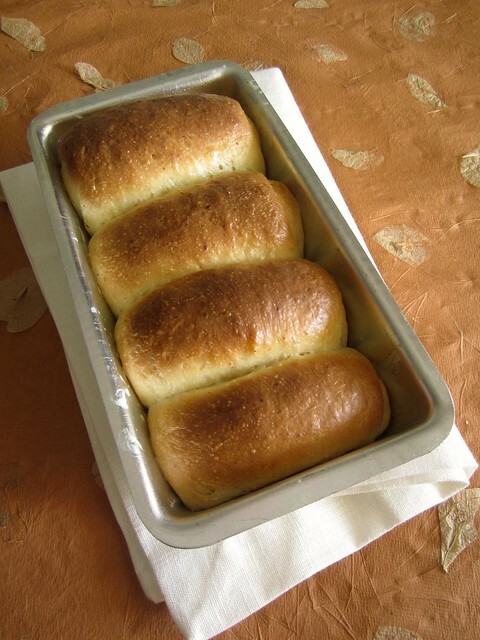 Loved d pic of loaves in tin..superbly droololicious, lovely unique recipe, softness of bread well presented n past posts on breads, d pics yum! Love the clicks !!! Amazing !!! 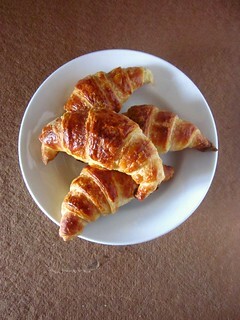 wow looks so soft and yum..